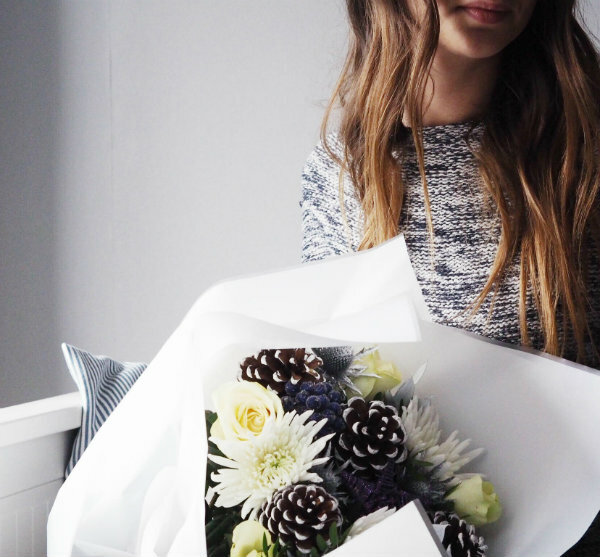 Today I'm carrying on from Wednesday's blog post with another Christmas gift idea to share. It's always such a thrill to get flowers delivered and they can instantly transform a room into something really special. They're also a great last minute present idea if you don't have time to rush around the shops and need to send something the next day! 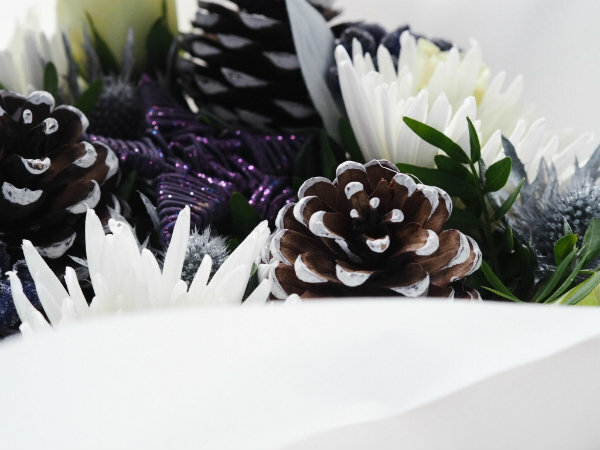 Have you sent Christmas flowers before? This looks so nice! Love the flowers. :) Wonderful post. 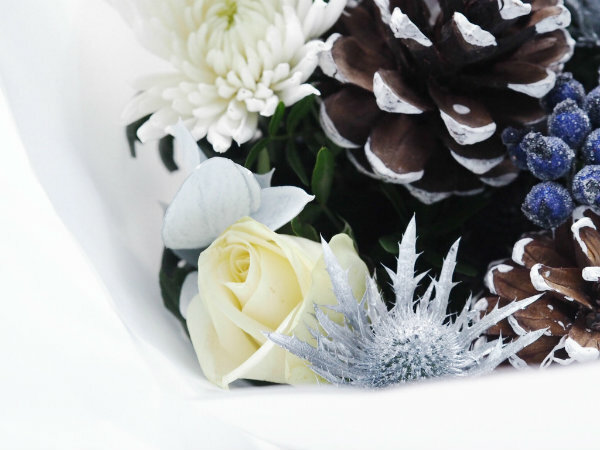 I haven't sent an Xmas bouquet before but, its a good idea for sure. Thanks for sharing hun. On a side note, I've migrated my blog to my own domain now by the grace of God. Unfortunately lost all my comments but, definitely something I've been wanting to do. So thank God it has come to pass. Please find the new link below. 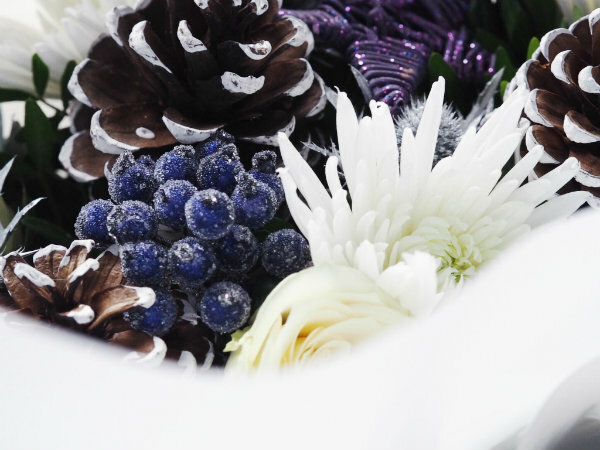 Those flowers are so pretty for winter! They look so pretty and festive. 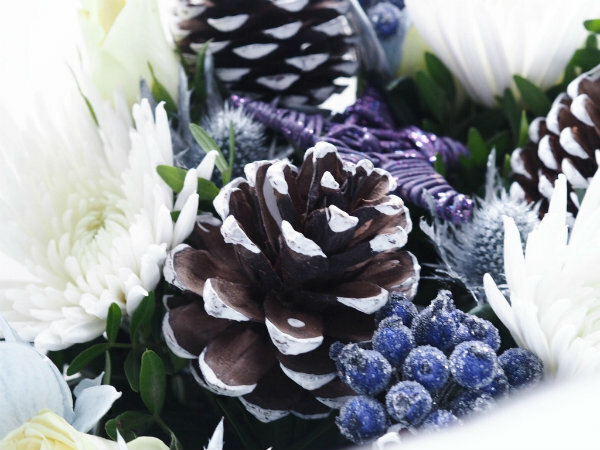 I love these flowers and how they look slightly snow dusted, they're so festive I love them! These are BEAUTIFUL! 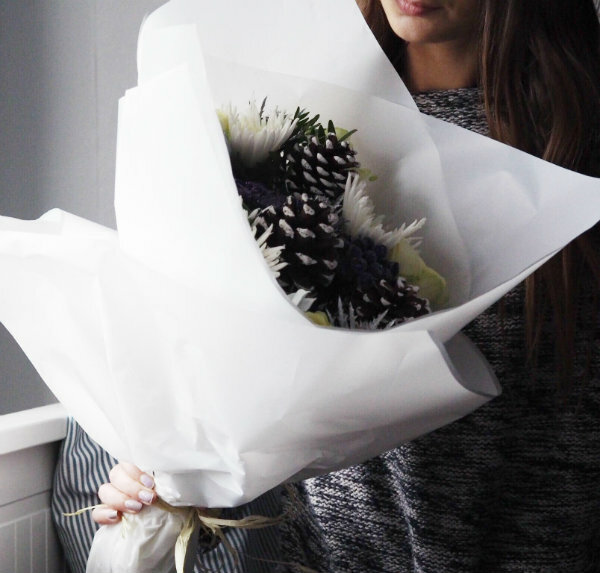 And I also love how they're not your typical bouquet of flowers. 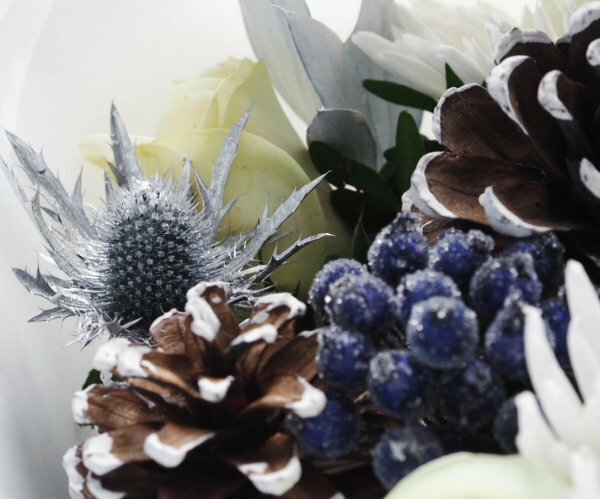 The pinecones and berries make it so festive! I think I might leave this open so Ben can take a peek *hint hint* :). 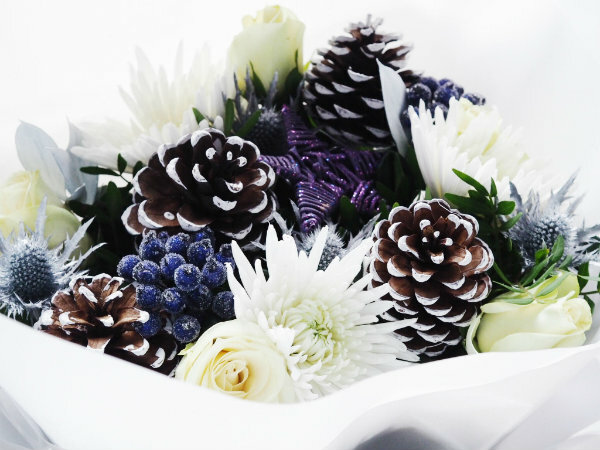 Ahh these flowers are so pretty!